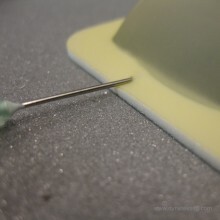 The Bresle method according the ISO 8502-6 standard describes a method of extraction of soluble contaminants from a surface by means of adhesive Bresle Patches which can be attached to any surface, regardless of its shape and orientation. It is essential that the level of contaminants on a surface is measured prior to application of the coating to ensure the quality of the coating and that its optimum lifetime is achieved. If the coating is applied to a contaminated surface which is not properly prepared, it could fail prematurely resulting in costly re-coating and high maintenance. Salt contamination is quickly identified using the Bresle Test. This Bresle Kit – Sodium Chloride Test Kit complies with the ISO 8502-6 and ISO 8502-9 standards that describe the Bresle Method to assess the level of soluble salts using a Bresle patch or Bresle sampler, distilled water and a conductivity gauge. The kit includes all the necessary equipment to execute a Bresle test that will indicate the contamination of soluble salts on blast-cleaned surfaces prior to coating. Inside the Bresle Kit – Chloride Test Kit is a conductivity gauge used for the assessment of soluble salt ions as chlorides, sulphates and nitrates. The Bresle Kit – Sodium Chloride Test Kit is also suitable to determine the contamination of blast-media in use. This important test described in the ISO 11127-6 and ISO 11127-7 standards helps to prevent that the dissolved salts in the recycled abrasive media or water will not re-contaminate the surface being cleaned. 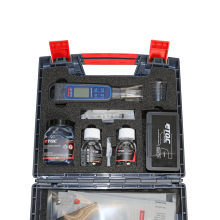 The Bresle Kit includes a state of the art conductivity meter. This lightweight, portable conductivity meter accurately measures the salinity of the test samples. The cartridge type sensor can be easily replaced when necessary and displays conductivity (µS/cm and mS/cm) and salinity (%) on the digital display. A special feature of this Bresle Kit is the unique direct sampling procedure which ensures high speed and accuracy. The Bresle Kit is ideal for use on marine coatings, protective coatings and pipeline coatings and is suitable for use in field analysis before application of paints. Can be used in accordance with: ISO8502-6; ISO8502-9. Look up the appropriate standard for a correct execution of the test. Packing List: Digital conductivity meter , 25x bresle patch, 6x 25ml beaker , 200ml distilled water, 20ml syringe with needle, calibration and rinse solution, magnetic bresle test spot marker. 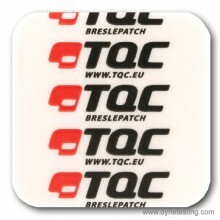 Additional packs of 25 Bresle Patches can be purchased to allow you to carry out additional tests with the kit. Contact our Sales Team for the complete range of accessories.